And today this is how Tahrir square looked like on January 25,2011. 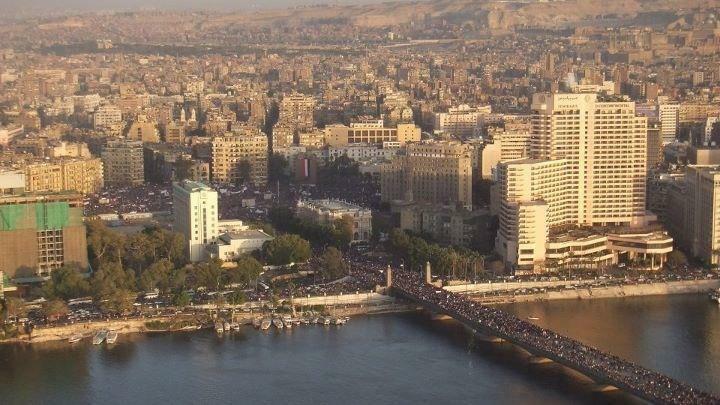 I remember from year ago CSF blocked Al Galaa bridge completely. Here is the Kasr Al Nil bridge today. 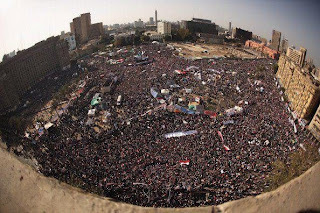 The big achievement of this revolution is that it brought hope back to the Egyptians and reminded them that they have got a voice the whole world will listen to. May Allah bless the souls of the martyrs as well the lives of the injured , May Allah bless the Egyptian people even those who think that the revolution was a bad thing. The first and most important goal reached by the revolution: silence has been broken. People know how to use their voices now. All other things, economy, education, jobs, poverty and corruption will be dealt with soon by the jolly new government. Let's hope so because it is about time!! Egyptians are very good at waiting, and this attitude has to change. All layers of society have to work hard for the country. Your analyses on your blog are great Zeinobia. I wish for the best. 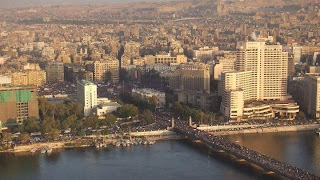 Tahya Masr. Are we better than a year ago? Be well aware that the old boys are still in charge and watching along the sidelines. The revolution has given some of us a moral boost but economically the people are in worse condition, security is poor, the police and army are still brutal and in charge, the Islamists know nothing about managing a county and the Mubarak trial charade still goes on. I follow your blog every day since one year, because valuable source of news and then I love the way you write.